Solstice stared at Frost as the three continued to glide along. "How can you tell?" Frostflare looked over at Sol. "Listen to its wingbeats. Females usally have a calm and smooth wingbeat. They have an aggressive jagged, and furoucious wingbeat. Such motions are uasally used to attrack a mate, or imtimadate an enemy." She explained to the dragoness. Dracon trying to avoid the flying debris had to flap harder and harder. 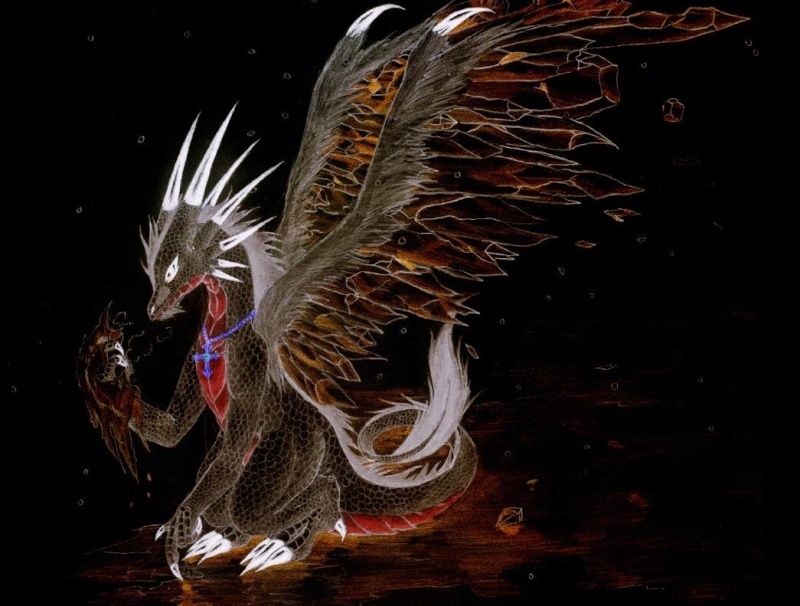 He looked up noticing the ice wing female staring directly at him and thought to himself "does she know I'm the fire?" The icy-blue dragoness beat her large wings and gently turned around, stopping right mid-air with occasional wing beats to keep her hovering. "Why are you chasing us?" She asked calmly. Solstice wasn't going to run anymore, no. She was going to solve this, and if needed, protect her friends. FRostflare stoped flying forwards and faced the creature. She roared a frightening roar. It sounded like the sudden sound of lighting striking the ground while calm gentle rain sprinkles apon the ground. Her eyes were red staring straight into the creature. "Why are you chasing us? What have we done to you? None of these dragons deserve to burn to death from the likes of YOU!" She spat at him in the most rude way possible. Right now Frostflare wasn't intreseted in making friends. She just wanted to stop this creature. Solstice turned and gave Frost a "seriously-he-could-hurt-us-let's-just-be-calm" look and then looked back at the fiery creature speeding towards them with an awkward smile. "Don't mind that! We want to be friends! Yeah, right, Frost?" Solar flew down quickly in a flash of light, landing gracefully on the ground. Dracon stopped and extinguished the fire around him. Then roared back "all I'm trying to do is track down a wanted roge but you led me off course." Solstice narrowed her eyes and gasped as a dragon alighted down below them. "Who are you?" She asked the new dragon then looked back at the fiery one. "And who are you?" The blue dragoness asked, narrowing her eyes. "And how could we have possibly gotten you off course?" Frostflare looked at the dragon. "Well sorry for you there are no rouges in our group here, so you can fly away and go attack your target." She hissed at him. Frostflare was not in the least bit of a happy mood. 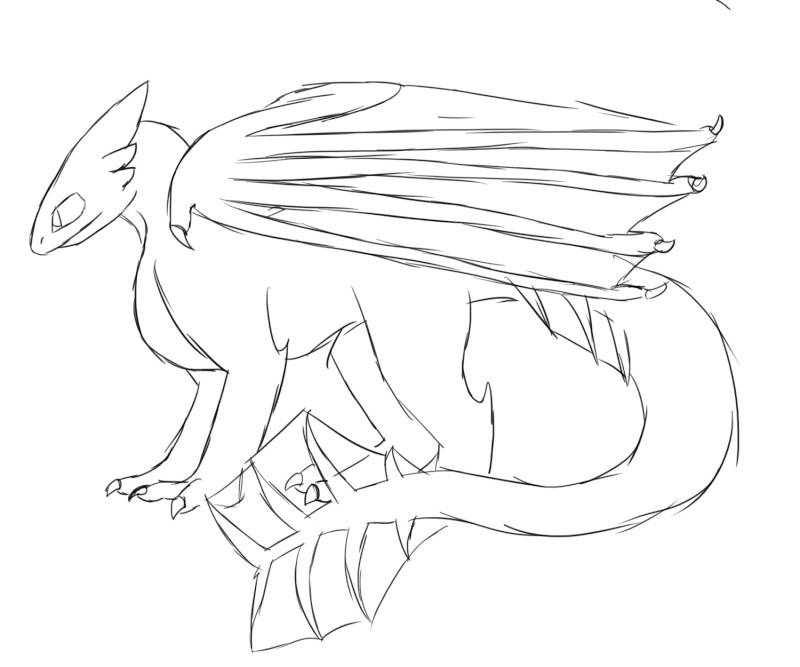 "Sorry all I know is that he is an evil dragon and he attacked an innocent firewing den, goodbye" And he flew off. Frostflare curious of what he was doing now, followed him. "Ok, tell me everything about who you are looking for and what they did. I am intrested now." She told him. Dracon stopped in mid air and turned around saying "All I know is that he or she attacked an innosent firewing den; And about me all you need to know is that I'm a Anbu black ops hunter in training." Frostflare laughed. "You do know who you are talking to right? I am Icewing leader, Chosen one and a Demi God! I think I deserve to know alot more then that. So spill out the information while things are peacefull between us ok?" She grabbed Dragon's Wrist and stood in front of him. He eyes looked sharply at his, and she had quiet the devilish smile on her face. Solstice hovered just behind Frost. "Annddd you've got a very powerful ice sorceress, who is in the tribe lead by her!" She cried, smiling at Frost with a "hope-that-helps" face.
" Ok, Ok I'll tell you more but you both might want to sit down" he said with a scowl on his face. Frostflare looked at him. "Yes, why don't we get comfy while we listen to your story. I'm sure it will be a good one." She told the Firewing. She knew he probaly didn't enjoy this one bit, but for Frost it was the best thing in the world! Dracon sat on the soft grass and said " do you want the short version, or the long version?"